It has been an excellent September for Manchester United, the Red Devils have won all their games in September barring the 2-2 draw at the Bet 365 stadium. We maintained our unbeaten start to the season with another 4-0 win at Old Trafford against struggling side Crystal Palace, it was the sixth time United have scored four goals in a match in all competitions so far this season. In contrast to last season, one of United’s Achilles heel was not killing off games easily due to the fact that we don’t score enough goals and by doing so they allow their opponent get back into the game, but what difference a year makes, United have started the season on fire, having won six and drawn one and have scored almost half of that tally in the Premier League last term so far this season. The Red Devils are currently tied on point with rivals Manchester City but sit second on the table due to City’s superior goal difference. Although, many have claimed United have had it easy so far with most of the games against mid-table sides but the first acid test of the season comes in a fortnight against arch-rivals Liverpool at Anfield after the international break is over. 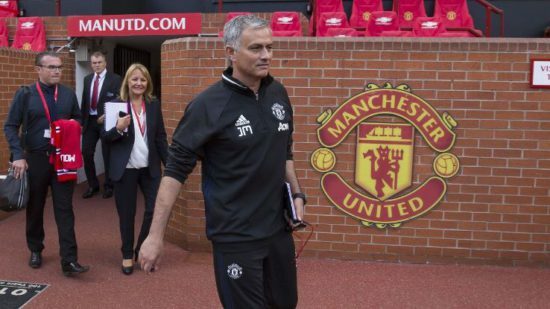 However, Jose Mourinho has rebuffed any talk of his side as title challengers having claimed it is ‘too early’ and also said he is not thinking about their trip to Anfield in a fortnight. Mourinho as quoted when asked about the upcoming match against Liverpool, he said: ” I didn’t even think about it,” he insisted. “I just ended this game, I’m not even thinking about Liverpool, I can promise you that. Manchester United are riding high on confidence and will be hoping to get a win against arch-rivals Liverpool who have only won one game out of their last seven in all competitions since their horrible defeat to Manchester City. There is no better way to test United’s title credential than a game away to our rivals at Anfield in a fortnight and a win for United will send a huge statement to show why the Red Devils should be considered as real contenders for the Premier League title.